I have created several art works and art installations exploring an “alternative yet connected” world. In March of 2015, I installed “Connecting” at Starline Gallery including my animated video “in to the ellipse” with music by cellmod. The music by cellmod was again used on Sept 11, 2015, as a part of mycollaboration with Angela Swan during the Woodstock Art Walk. This pop-up art exhibit evolved into a moving tribute to 911. The year 2015 wrapped up with my installation, “the END is the beginning” at the Woodstock Old CourtHouse Art Center. Among collaborations with musicians and performers, Shawn Coyle’s dancers played with my 3-D creatures and danced thru my 15-foot art tunnel. 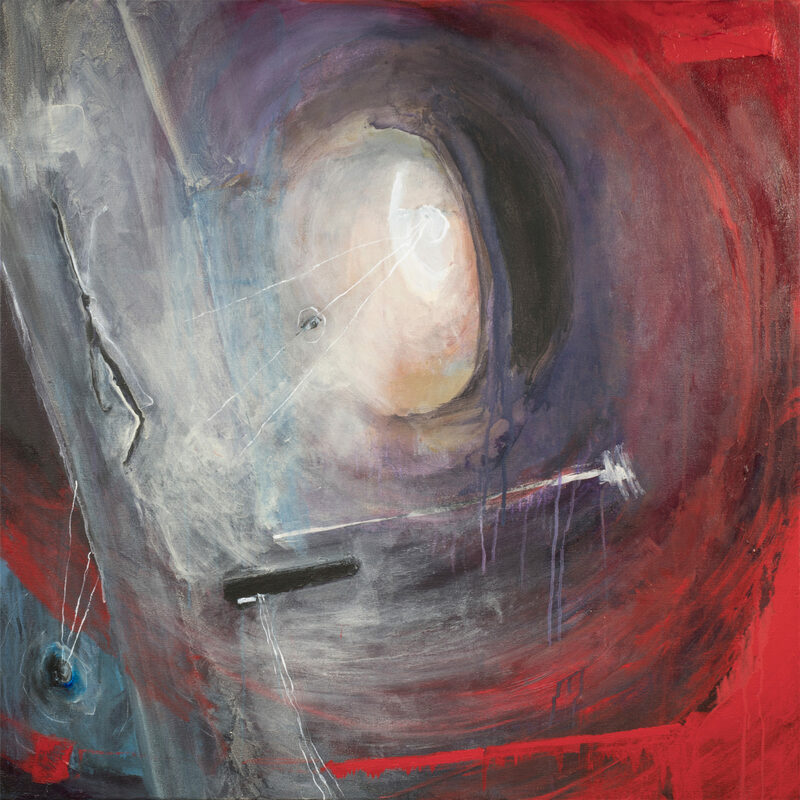 Large-scale paintings completed the stage’s transformation into this alternate world and provided the inspiration for Coyle’s choreographed dance, “Tunnel”. My list of solo exhibits and juried group art exhibits includes the legendary Chicago Show. I continue to experiment with installation in my “installation exhibition experimentation studio” at Starline in Harvard, Illinois. In addition, I am working on a series of 3′ x 3′ canvases exploring the tunnel, ellipse, vortex… trying to get inside – to see what I cannot see.